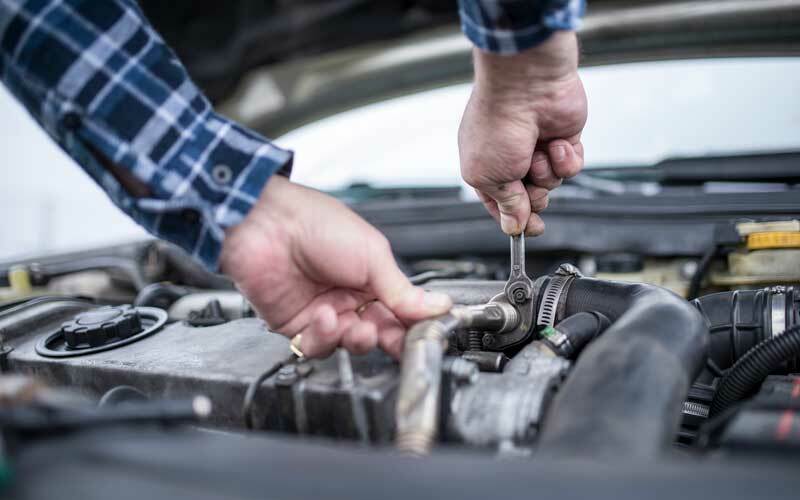 Omega Auto Care offers three types of service contracts that cover everything from new cars to older vehicles with less than 250,000 miles, with many included benefits. The bills can add up if you're stuck with a broken-down car that needs repairs. Omega Auto Care offers three extended warranty coverage packages to make sure you're prepared for an emergency. We awarded Omega Auto Care the “Best Value” on our Best Car Warranties guide because the company offers three types of service contracts that cover everything from new cars to older vehicles with less than 250,000 miles. These contracts come with many benefits included in the price. If you’re considering buying a used car or the manufacturer’s warranty on your existing vehicle is nearing the expiration date, a service contract (frequently referred to as an extended warranty) can save you hundreds on costly repairs. USA Today reported that a 2017 study from the American Automobile Association (AAA) found that nearly one-in-three Americans said that they couldn’t afford to pay a $500 to $600 car repair bill without going into debt. Based on those figures, a full brake job including rotors, calipers, drums, pads and cylinders can put you in a financial bind with an average cost of $750. Transmission replacement doubles that dollar figure and goes up with the average price running between $1500 and $3500. Omega Auto Care coverage holders don’t have to worry about skyrocketing repair costs since covered services are only subject to a pre-defined deductible based on their plan. Accepted nationwide, Omega Auto Care coverage can be used at any licensed repair facility, so customers aren’t limited to a small handful of shops. Omega Auto Care has three extended warranty coverage options: New Exclusionary, Used Stated Coverage and Powertrain Protection. Each coverage option has requirements on your vehicle’s age and mileage, and each one offers varying degrees of coverage. Omega’s website provides PDF examples of an agreement for each option. These sample agreements lay out the fine print for each protection package. We’ve highlighted what each protection package includes below. What is not covered – Exclusions vary depending on the coverage purchased but the sample contracts Omega Auto Care provides spell them out thoroughly. The key is reading the entire contract upon receipt, so you know exactly what is covered and what isn’t. You can still cancel if you decide the benefits are not for you. Use all reasonable means to keep your car from getting damaged further. Stop your car and call for roadside assistance to tow it. Omega asks that if your contract states you should use Road America or Auto Knight, call the number listed for them on your contract. Only take your car to a licensed repair shop of your choice. Once there, have the repair shop call the number on your contract before they make any repairs. Authorization from Omega is strictly required before any repairs can be made. Once you have a diagnosis from the repair shop, call Omega’s claims department to start a claim. Omega Auto Care provides extra benefits at no additional charge to all customers regardless of their coverage level. Roadside Assistance – Roadside assistance is provided through Road America and Auto Knight. It’s available 24 hours a day, 365 days a year. Rental Car Reimbursement –The level of coverage determines the maximum per-day and per-occurrence reimbursement. Road Hazard Coverage (Tire Only) – Omega Auto Care pays up to $400 in reimbursement for any roadside hazard repairs, up to $100 for each tire replacement and up to $20 toward a full repair. The Omega Auto Care website doesn’t provide a cancellation policy but we spoke with their Director of Operations who stated customers have a 30-day money-back guarantee block of time to review the coverage and decide whether or not they want to keep the coverage. Coverage with Omega Auto Care begins around $2/day for month-to-month plans. Prices will vary based on the type of car, the package you choose, and the promotional offer you receive. To get a quick quote, potential customers can contact Omega Auto Care through a form on the website or call their toll-free number at 844-855-3956. Agents are available Monday through Friday from 7:30 am to 7:00 pm (CST) and Saturday from 7:30 am to 1:00 pm (CST). The review section on their website isn’t typical of what you find on the majority of company sites in that they don’t provide potential buyers with a lot of glowing customer reviews that have been submitted directly to the company. Instead, Omega Auto Care feeds reviews directly from those submitted to ConsumerAffairs, so you see the good, the bad, the ugly and the indifferent instead of just the cherry-picked best. ConsumerAffairs named Omega Auto Care a ConsumerAffairs Accredited Brand with 4.5 stars based on over 200 customer ratings. Better Business Bureau lists Omega Auto Care as a BBB Accredited Business with an A+ Rating (4.86 out of 5 stars). Does Omega Auto Care sell a warranty or a service contract? According to the FTC, though automotive service contracts are frequently referred to as “extended warranties,” they are not warranties as defined by federal law because they can be purchased at any time and always cost extra. A warranty is included in the purchase price of the car and isn’t something that can be bought long after buying the vehicle. Therefore, by definition, Omega Auto Care sells service contracts. What are key things to look for in the contract fine print? Specific exclusions and covered parts will be listed in Omega’s contract but the FTC advises if you don’t see an item listed, assume it’s not covered. The government agency also warns consumers to be on the lookout for “absolute exclusions that deny coverage” (i.e. “If a covered part is damaged by a non-covered part, the claim may be denied.”) This phrase was found in a sample Omega Auto Care policy. Other review sites advise that repairs due to “normal wear and tear” may also be excluded from coverage. Does Omega Auto Care require pre-approval for repairs? All of the sample contracts state that the repair facility must call the claims center before any repairs are made for approval unless it is a “simple emergency repair” of a covered part that will take two hours or less of labor to complete and it’s outside of regular business hours. Simple emergency repairs can be authorized by the coverage holder but they must be reported to the claims center within five business days. There is no mention of a waiting period on Omega’s website but as previously mentioned, we found out there is a 30-day 1,000 mile waiting period before filing a claim. Are monthly payments available or do the plans have to be paid for in full? Omega Auto Care coverage plans can be paid for in full, up front or through monthly payments. What is Omega’s business record like? Great. According to online reviews and ratings, Omega provides excellent customer service. We found two old lawsuits during our research that resulted from marketing companies using auto-dialers to call cell phones and landlines trying to sell policies. Omega has since changed the terminology in their agreements with marketing companies to prevent this from happening again. Auto warranty scams are so rampant that the FCC has a warning page about them on their website. Those few bad apples have led some to believe that any service plan not offered by the manufacturer is a rip-off, despite research saying there is no better way to protect your vehicle than an extended warranty. Buying an extended auto warranty or service contract guarantees the warranty company will pay for expensive repairs so you don’t have to. Omega Auto Care stands behind their customers with their customer service, reviews and ratings. Had some issues in the beginning with one of them wanting paperwork but once we get everything together and they okay the work on my truck everything went very quickly. It was good that they called and checked up afterwards to make sure the work was done correctly. All car owners face the difficult decision of what to do when their car warranty is about to expire, or has. Do nothing, and hope we're lucky in avoiding costly repairs? That's not very likely to happen. Trade it in for another vehicle? That's time and money we all want to avoid. And our last option; Do we look for a Company that extends car warranties? This is a decision I had to face a few months ago. I love my car and wanted to keep it. I knew sooner or later I would face a costly repair and wanted to avoid the expense of a new car. I saw Ads from companies that provided the extended car warranty I needed but they all looked the same to me. I have a friend who purchased and recommended Omega Auto Care, But with no repairs needed to date, I was back to square one in which Company to choose. Who can I trust? I called a few Companies to hear their offers and I only felt comfortable with Omega. I decided to go with my gut feeling and went with Them. This ended up to be the right decision, and I couldn't have made a better one. My problem free car, has had 2 mechanical problems since purchasing my warranty. The most recent one was $2,400.00. Omega paid the $2,400.00 and even monies back for my oil change. They are so easy to deal with, and they do what they tell you they will do. They earned my trust, and I recommend them to anyone and everyone when you face the same decision as I did.. You cant beat that secure feeling of knowing your car is is protected, you just can't. Omega, Thank You. The experience was awesome! They made sure that we were taken care of! They called us for each process of what was needed. They showed us that their customer service was outstanding! Began with misrepresentation of contract ending with getting screwed on coverage l was not aware of till they wanted to renew contract. The customer service representative l spoke to about my concerns basically called me a liar with enough ATTITUDE, you would think money was coming out of her pocket. Very dry sorry l got involved with this company. They double talk you till you just give up with frustration. To me bumper to bumper means bumper to bumper! Am l missing something? BUYER BEWARE!!! I have been paying on my warranty policy now for going on 2 years at $127.00 a month. The truck is used by my girlfriend who was just diagnosed with liver cancer. She was given 6 months to live. This truck is her only means of transportation to and from the doctors and the hospital. The truck had to go into the shop, due to a transmission problem. I bought the extended warranty when the truck already had 167,000 miles on it. The truck now how 202,000 miles on it. After taking it into an actual Ford dealership repair shop. They found that the transmission needed repaired. Omega asked for 3 receipt showing that transmission flushes where done on a particular mileage. When I called them to tell them that my truck had a seal transmission with a life time Fluid. They then came back with, will we need to see a receipt showing a transmission flushes had been done at 150,000 miles. Well, I didn't even purchase the warranty until the truck had over 150,000 miles on it. It had 167,000 miles when purchased. They denied the claim. The Ford dealership even went as far as to do an analysis on the transmission fluid, which had determine the truck fluid was within the criteria for a truck especially with over 200,000 miles. And that there was no signs of misuse on our part. Omega would not even let the Ford dealership express their opinion. In short, just denied the claim without consideration. Omega has collected now a total of over $ 3,000.00 from me, with one last payment to go. There is no way in ** I will be sending that final payment. The cost of the transmission repair was under $2,000.00. They would have still made a profit of over a $1000.00 if they would have made good on the claim. The truck sat in the shop for over a week. I had to pay Ford $110.00 just to do the estimate. You would think that a company like Omega would have a little compassion for my girlfriend situation and the fact that nothing was ever mention at the time of purchase or in the policy about having a list of required maintenance items ALREADY performed. We don't have the money for another vehicle or to repair it ourself considering the expense we have with her cancer treatments and medications. This type of customer service by Omega is without a dought, unfair, unethical and shameful. In my opinion it's an act of fraud on their part. Think twice before purchasing a warranty service contract from Omega auto care. Purchased this policy thinking that the items that are listed would be fully coverage because that's what I was told when purchasing this policy, Took car to the shop for a axle issue they only paid 86 dollars toward the item which is nothing. I had to pay the rest which was 200 dollars more. I am not happy at all and will be canceling for false advertising ASAP!!! Haven’t had problems other than the transmission going out, car care is in the process of doing the reimbursement and got to the issue in a timely manner. Other than I think I will keep renewing my contract with the warranty provider. The overall experience was good. They worked with me and I was able to get my claim paid in a timely manner. The whole process took less than a week from start to finish. Having this service took a lot of stress off of me.